The African market is the total exchange of products and services, where Africans are concerned: Goods and services on offer from African people to other Africans and the world and goods and services offered to African people from outside of African communities. Now if you were to look at every product/service available on the African market and look at what percentage African people own what do you think that number would be? Now contrast that to the Asian market, the Muslim market, the Jewish market, the Indian market, on and on. You already know the shock you would get. Unfortunately the story of Africa is a lopsided narrative of others supplying us with all the things we need to live in modernity. And for the most part that bothers very few of us. 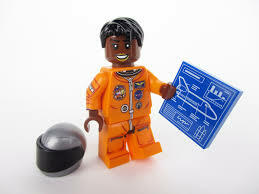 You will get no outcry, like with Ryanair3)https://www.theguardian.com/uk-news/2018/oct/23/man-in-ryanair-racism-incident-identified-police-say, when Ethiopian airlines, the only African owned carrier, has to cut its routes due to competition. Or when yet another African business closes down due to non-support. Yet you would hear Africans in mob mode scream boycott H&M, never is there a similar mass movement around support. So we do not boycott H&M and rush and support Ocacia. And this is that slave mentality of reacting to things done to us as opposed to building things needed for change. And worst than that most have absolutely no interest in anything that represents us economically. 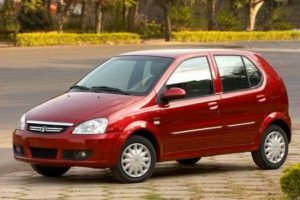 4)Even if an African said let me make an African car and was lucky enough to get investors who will buy it? Africans are happy to support German, Japanese, everything but their own. Quality is often sighed as a good excuse but even when quality is better or the same as others still support is weak. Unless something is praised by mainstream white media there is no interest. 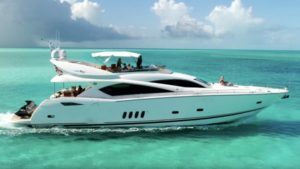 Can I, as an African, open up an African business selling luxury yachts exclusively to other African people? Of course not. But If I was Greek, Asian, Jewish or Arab I could. Now this is a crazy example but it is needed to make a point. We know there is no market which can exclusively target Africans because globally African people are some of the poorest people on Earth and luxury boats are not something we are interested in. So there is no luxury yacht market for Africans. The few interested in such things are too small to create an exclusive market. As a result no one is going to start custom designing boats with African cultural themes. But it is no different from Marvel with its blockbuster Black Panther. We own nothing of the profits, we got hired and used. Yet Indians make big international films every month for Indians people to consume globally. They own the entirety of these industries from cinemas, to some of the filming equipment to the distribution companies–without any European profit sharing. Yet we are a continent known for stories and cannot even produce something on the level of Marvel’s Black Panther. Yet we are proud of what others have done for us, carrying on like we made it. Yet no where in any African DVD store where you can pick up a copy of Motherland, 500 Years Later, Sankofa, Daughters of the Dust or Black Candle. And the same is true for African books by people like Molefi Asante, Karenga, even DuBois and other icons of African history. Yet you can find all the content on Mandela written by Europeans. It is all about what a market demands. The Italian clothing market demands authentically made Italian clothes. If it is not made by an Italian in Italy it has no value. Italian tailors cannot outsource their tailoring to Korea as it would break the seal of authenticity. Same with Swiss watch manufactures. So there is an inherent value with things Italian and Swiss made respectively. where authenticity is concerned. This protects the culture and economics of these places. This is not the case of the global African market where there is no value placed on African ownership. Now what if someone told you that 50% of the billionaires in Europe were African? That would be unreal. Or that 60% of the richest people in Asia were non-Asian. Well let us look at who holds the billionaire status in Africa. 7)https://www.forbes.com/africa-billionaires/list/?fbclid=IwAR0k95b9omLgs8FTA5vpLJXumb6Lz8eNKMnO9fR-FnrLoeGC6kRXrSALI_M#tab:overall Yet we march and sing about Police brutality and other trivial issues when our continent is not even owned by us. 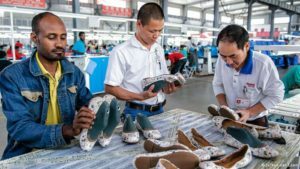 Yes we have the #buyblack campaign but that is a tiny representation of the African mindset where economics are concerned, most just want the cheapest junk–and in comes China to satisfy that criteria at the expense of African ownership. African generally recognize value through integration ; their system of verification. They said the writers of such and such film were great, we agree. We cannot verify our own icons independent of them. The concept of “Made in Africa”has no value to us. Yet “Made in Japan”, and “Made in Italy” carries great weight with us. 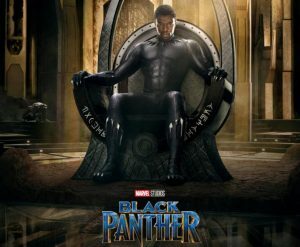 And this is why Black Panther appeared so great, because it was an African themed film celebrated by Whites. Reviewed and praised by whites, and only then does it have value to us. 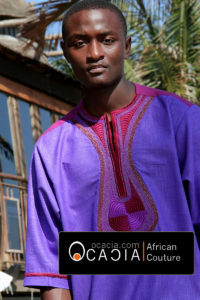 African clothes now have value as they are printed in full color inside the Time and Independent. 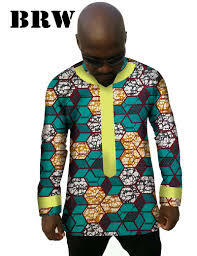 The same African clothes moping around dusty African markets with next to no one interested in, then all of a sudden have value added and global sales in African clothes increase during the hype of the film, the second that hype dropped so too did interest in African clothes. Outside of this very few Africans looked at these clothes as something they would ever wear. Now let us journey to India and the Indian clothing industry. Who do they need in Europe and America to tell them their Indian clothes and films are noteworthy? Does an top Indian designer need verification from Vogue to be a millionaire? Now the value of the African market is also based upon what someone is willing to pay. Can the top African web designer demand the same money as Europe’s top web designer in their respective markets? Can African tailors in Malawi with all the identical skills of those in Italy demand the same money for their talent? No. That is a direct indicator of how our markets are poorly developed. Europe can have consultants that consult consultants in all kinds of niche areas and make a fortune because of how complex and economically developed those markets are. So value is also locked to the development of a specific market. And it creates a loop because if an African scientist cannot get the same money for their genius then it will hamper their ability to be good scientist. So a filmmaker in Ethiopia is getting paid $300 bucks for a film, talent or no talent, will struggle to keep up with the American guy getting paid $300 per hr. African people lack agency, and we also lack identity that means we cannot add value to our cultural property. Coupled with the fact that we are not fiscally endowed. And it is critical that we understand identity, agency and economics as critical parameters in our world. Identity tell us who we are, agency imposes this and economics is the byproduct and hammer behind everything else. In theory, and in theory alone if you told anyone you want to sell African clothes in Africa via a high street store you would think– No problem. After all you are in Africa that is the best place to sell African clothes: makes perfect sense even to the Inuit in the Arctic circle. But the last place you will find African clothes is in any major retail store ANYWHERE in Africa (I do not know any exceptions). 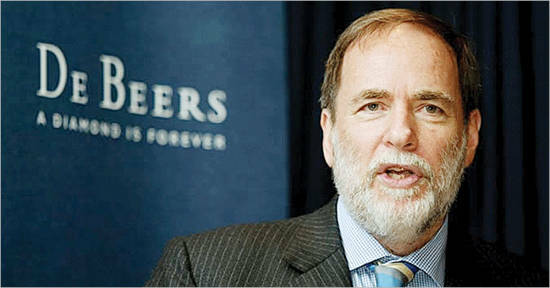 Esp in places like South Africa which claim to be the most diverse and economically development markets. Not one single thing. What does this tell you about value of things African and the African market? Yet in South Africa around every corner you can find a luxury store selling traditional Indian clothes owned and staffed by Indian people: Because Indians have a value on their cultural products. Where in South Africa, Uganda or Kenya can you go to a major cinema and watch an African film? Next to nowhere. With Ethiopia and West African being exceptions. Yet the cinemas around Durban, Dar-es-Salaam, and Nairobi have all the latest Bollywood hits 24/7. Again what does that tell you? Spree on of South Africa’s biggest suppliers of cloths online told Ocacia that they could not sell their clothing brand because there is no market for African clothes. Clearly there has to be but Europeans in Africa have no interest in promoting African culture in the countries they still rule over economically. Let us quickly jump over to the complex and intricate European market and see how saturated it is with European cultural products. As a European filmmaker you can make a film about a font like Helvetica and win awards around a feature length film on a font. The European market is so complex you can open up a store which just sells honey for kids only , and be successful. The niche within niche within niche are million dollar industries in Europe catering to all kinds of products and services. The market in India is no different. They not only make their own films but have such a high level of specialization they can have million dollar companies which just sell camera tripods and make enough from sales just from the local Indian market. The examples are endless yet contrast this to the entire African market where there is virtually no African clothing label the size of the smallest European or Indian mainstream label. It speaks to an alarming condition. Yet Africans as a unique and definable group constitute one of the major demographics of the world. Millions of Africans buy products and services each year. Companies like Marvel, and Shell make millions from African people alone. China makes everything the African market needs from clothes to fabric, to toys, everything. If you can think about it — Chinese, not Africans, make it. 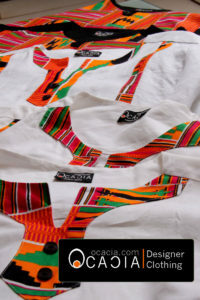 Now they are even replacing items traditionally made by African people such as clothes. Despite the large demographic and potential of Africa and her Diaspora Africans themselves have totally failed to capture their own market and sell to them. Why? 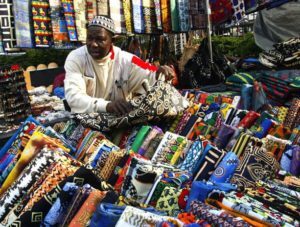 So we do have some unique markets, such as African clothes, yet why can we not capture the very few markets we have? Especially when we still have superiority in craftsmanship to say the Chinese in making things like African craft? Yes there is an answer to the question, so do not worry about it. 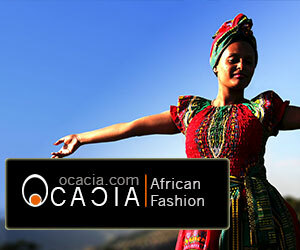 Zikala African Clothes: Inside Ocacia from Ocacia African Designer Clothing on Vimeo. You have many people who are interested in something but not to the point where they will, in this lifetime, ever buy anything. It will always be WOW that is cool. But that is true for all markets, where it is different in the case of African products is the percentage of non conversion is even higher than any other group. 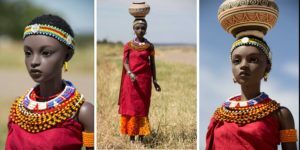 Unlike say Indians or Muslim clothes which appeal to maybe 50% of those groups respectively in the entire world, the appeal of African clothes to African people is not even 1%. Yet the one good thing, where clothes and music is concerned is that African people still have a distinctive clothing culture and music culture; even the Chinese have lost much of theirs. No one in Dubai is blasting Chinese music out of their cars and rolling down the block. 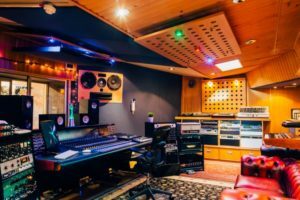 In the case of music there is a serious over-saturation, yet how many music distribution companies do we own? How many studio equipment do we make, like Samson and Nueman? How many CD plants do we own? So even in an industry we are known for our ownership does not go very deep. In the case of African clothes how many websites do we have that sell them? How many designer names do we have at the level of our Indian and European counterparts? Yet West Africa and Ethiopia has produced a rich clothing culture. Yet Africans on mass have chosen to chase Western brand names made in China at the expense of supporting an industry we actually have potential markets in. So this is not like us competing with America or Korea in car manufacture where they have a history of car production and we have none: African clothes is an area we already have dominance in. Now most African clothes are made in China, along with the fabric and the sewing machines. From Nairobi to Durban if you want to buy an African doll for your child you have to buy a doll made by Chinese people. Most of the time that doll is white. So all the kids are playing with these White dolls. Chinese look at our market and see we do not mind giving our children white dolls so they make only white dolls and sell to us. They know we do not care about quality music, so they tailor big ugly stereos to appeal to our ego. No where in Finland or Israel do you see a market for this superficial equipment which is big on the outside but tiny on the inside. 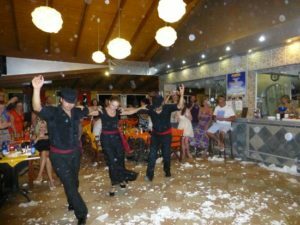 I was out recently in Africa (and I have to stress that) and in two different cities I saw different Greek restaurants with Greek dancing and plate smashing. This is in Africa, in two different major cities. A search on Google showed that these were only some of the Greeks restaurants in those cities. 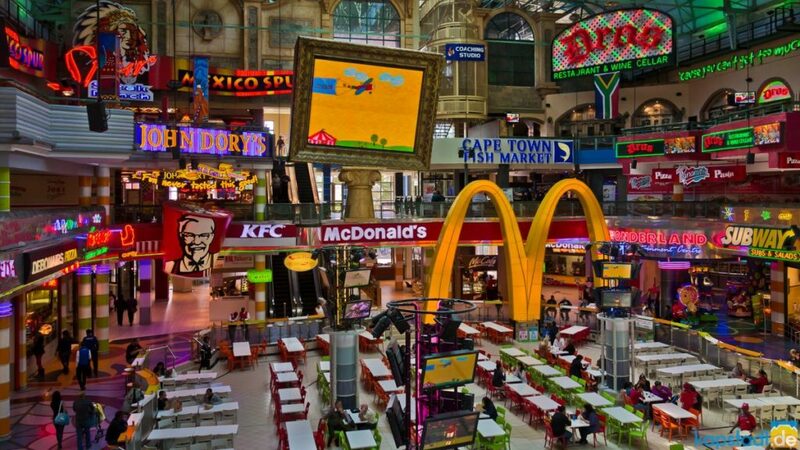 At the airport I saw Nandos (white owned), KFC, every culture but ours. And Africa is a HUGE collection of cultures–yet not ONE! was represented. Now let us talk about clothing–apart from those silly African tourist clothes nothing modern and African was there–and what was there was White owned. So at OR Thambo SA, Gateway, Canal Walk, Ushaka, caters for every food culture but African. You will find everything twice over, yet nothing representing any culture found on the continent of Africa. Where is this being discussed at the ANC? In a country rife with xenophobia against foreigners (mainly other Africans) you would think national pride of the Zulu Xhosa majority would at least have some Nguni representation. How can an entire country have zero representation of African culture and boast about being the most progressive economy in Africa? 8)Many Blacks in SA complain about Ethiopian and Nigerian dominance in small markets yet almost never are as concerned with European and Asian dominance in big markets. They attack small Ethiopian stores while leaving the multinationals alone. Is anyone discussing these kinds of topics in any central way? Well how could an issue so serious not be at the head of most of our African discussions? I was at a ECOWAS meeting and an AU meeting and it was not on the agenda of concerns. And that is because the default mentality of Africans is NOT to own our own world, but to better live in someone else’s world. When we speak of the African market what we are discussing it the available of African made products and services on a commercial platform. Not what you buy in the street from a hawker, but what is available in major retail, and commercial outlets including those online. In theory, and in theory alone if you told anyone you want to sell African clothes in Africa at a high street store you would think– No problem. you are in Africa that is the best place to sell African clothes. But the last place you will find African clothes is in any major retail store anywhere in Africa (I do not know any exceptions). Esp in places like South Africa. Not one single thing. What does this tell you about value and the African market? It is like where in South Africa can you go to a major cinema and watch an African film? Next to nowhere. Yet the cinemas in every major city all the latest Bollywood hits 24/7. In retail stores and music shops Indian music is blasting all over the airwaves. 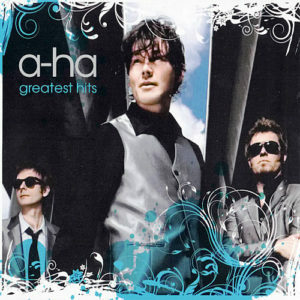 At the airport they play the best of Ah-Ha and nothing of local or international African artist. Again what does that tell you? The solution is not an instant fix since African markets have been neglected for decades, if not centuries. So this is not a situation created in the last 20 years that we can dump on Zuma and Zenawi. It is appalling now as globalization crushes African markets even more. But there is only one solution. And it is not to “Kick Chinese”out of Africa, that would just mean we starve faster. It is we start to value our own industries and support and create them. Cabral said we should mask no challenges and speak to the reality of our situation if we ever plan to solve it. 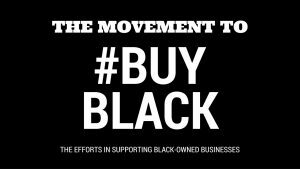 Now someone said we as a race do not have money to buy beautiful hand made African clothes or support documentary films, and that is interesting because come Black Friday Black people will forget their money woes and be lined up around the block, fighting, crawling to get offer their money to everything White and Asian. So we need to drop the excuses and get serious. We have no money for books yet everyone is in the latest jeans by Levi or the coolest shoes seen on the feet of Drake and cohorts. By understanding the points raised in this article we can start to see with African eyes the world as it is, and take active steps where possible to recover our ownership of the world we live in. 4. ↑ Even if an African said let me make an African car and was lucky enough to get investors who will buy it? Africans are happy to support German, Japanese, everything but their own. Quality is often sighed as a good excuse but even when quality is better or the same as others still support is weak. Unless something is praised by mainstream white media there is no interest. 5. ↑ Statement from New African owner is contradictory, owned by Arabs hiring people like Baffour Ankomah yet speaking about a New Africa:We want to portray the new image of Africa. It is up to us all, each and every one of us to improve the image of the continent. We want to promote our culture and our civilization, to defend the legitimate interests and rights of all Africans and to continue always our quest for more unity, freedom and democracy:Question how are we going to do this when we cannot even own a magazine which is suppose to represent us? 8. ↑ Many Blacks in SA complain about Ethiopian and Nigerian dominance in small markets yet almost never are as concerned with European and Asian dominance in big markets. They attack small Ethiopian stores while leaving the multinationals alone.